Deep, restorative relaxation is vital to your wellbeing. It allows your body time re-balance and rejuvenate. A ‘Gong Sound Bath’ is a powerful holistic healing therapy which can induce deep, restorative relaxation whilst at the same time being energising and rejuvenating. 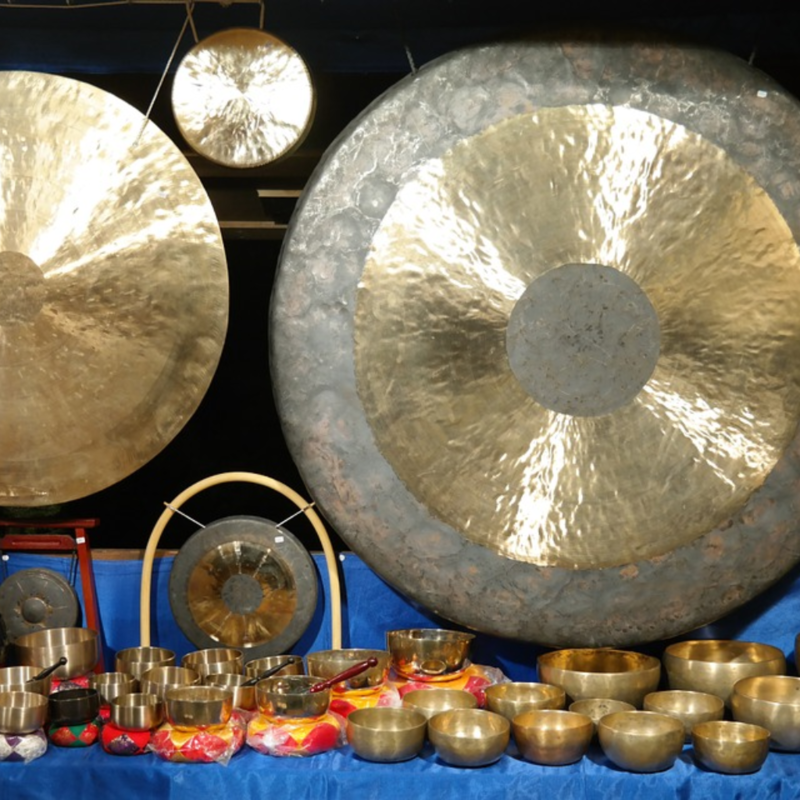 A gong session can also alleviate anxiety, stress, depression, creating a feeling of peace and calm. You might fancy a Gong Sound Bath simply to create a bit of ‘me time’ to deeply relax, as part of an overall holistic healthy lifestyle, or for meditative and spiritual reasons. Whatever the reason, it’s a great experience! The therapy is called a ‘sound bath’ because the participants are ‘bathed’ in the sonic vibrations of the gong and other instruments played during the healing session. The sonic vibrations are sensed by the individual both as aural sounds and as physical vibrations around the body. The gong is a great sensory stimulus. Different parts of your body will resonate at different frequencies, therefore, the gong provides a ‘sonic massage’ to your body.